Australian worship leader & CCM artist Mel Crothers has just released her latest project. This self titled EP is her third release and was produced and recorded in Nashville TN. Featuring songs written by industry greats Francesca Battistelli and Paul Duncan this latest offering from Mel highlights her signature soaring vocals and passion for worship. 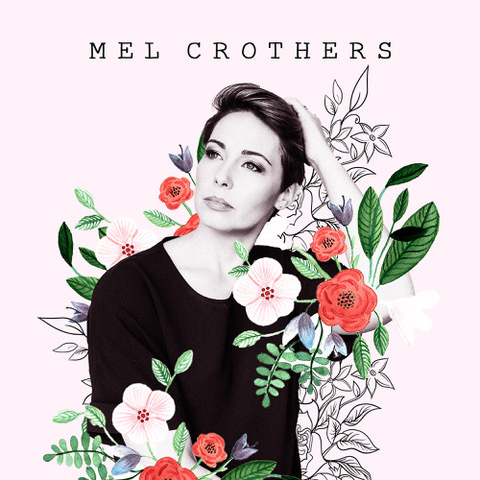 Read More Australian worship leader & CCM artist Mel Crothers has just released her latest project. This self titled EP is her third release and was produced and recorded in Nashville TN. Featuring songs written by industry greats Francesca Battistelli and Paul Duncan this latest offering from Mel highlights her signature soaring vocals and passion for worship. Despite being an independent artist and based in one of the most isolated cities in the world, Mel has been privileged to team up with Nashville based artists and producer Tyrus Morgan and together they have produced a complimentary collection of songs. From the vulnerable lyric of I am Held to the faith filled declaration of Mountains (mixed by grammy award winning engineer Ainslie Grosser) these are songs that will inspire faith and hope in a sovereign God. Not letting distance be a barrier in the production of this project has also opened up opportunities for Mel to collaborate with and learn from seasoned song writers like Hillary Mcbride. “Hillary, Tyrus and I wrote the first single from the EP Safe together over Facetime. Despite it being the middle of the night for me here in Australia it was amazing to work with these guys who have really honed the craft of songwriting. I learned so much”. Mel regularly leads worship in churches around Australia & the USA and has several trips to the States planned for 2019. She also uses her artist platform to serve as an ambassador with child sponsorship organisation Compassion and apportions profits from album sales to see children released from poverty in Jesus’ name.